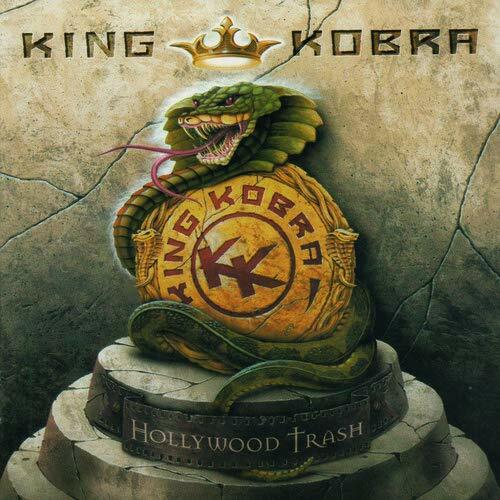 KING KOBRA - HOLLYWOOD TRASH (CD) | Online Shop | Wizard LTD. This album was essentially the Appice/Keeling band released under the name King Kobra. Most of these songs appeared in a little known film Chasing Destiny starring Casper Van Dien, Lauren Graham, and Christopher Lloyd. Both Carmine and Kelly appeared in the movie as well. The song &apos;Jessy&apos; was written for Lauren Graham&apos;s character Jessy James. The production is top notch and Mick Sweda never played better! If you like the vocals of Kelly Keeling and the drumming of Carmine Appice, this CD is a must have ! Excellent rock tunes in the vein of AC/DC, Whitesnake, Deep Purple, but more rockin&apos;!